The month of January apart from bringing extreme chills across national capital and northern region of India, also brings cozy reprieve of ‘End of Season Sale’. It would be no exaggeration to call Delhi a shopaholic’s paradise; the national capital is studded with numerous markets and malls all around. So much so that at almost every 5 km one can easily spot a mall or bustling bazaar. The charm of winter shopping is one of its kinds. It is best advised to shop during January for winter stock when markets and even biggest of brands announce heavy discounts on their products. The stock is not faulty one rather it includes the last lot of the current year’s fashion that might go out of vogue the next year. Hence, the brands and even the small shop owners find it a waste of effort and their money to preserve this stock for next season and hence they put it out for sale. You might not find all the sizes or colors during sale period, but you can definitely buy good variety of accessories and layering that is required to complement your complete ensemble. Mostly big brands offer great discounts on purchase of collective items that can help save a great deal. Hence, it is always advisable to make your shopping list that may include self purchases as well as gifts that you might want to buy around this time. Therefore, this is the right time to go for bulk shopping. If you are planning to buy a dress for a special occasion then shopping during sale period can be a bit disappointing for you might face ‘sold-out’ situation on many products. But for those who wish to stock basic sweatshirts, denims, formals, sweaters or accessories for their survival during winters this is absolutely the best time to shop. Shopping for infants or kids is also fun during this time for parents can stock a whole range of clothing, beddings, toiletries etc at discounted price in Delhi’s malls. 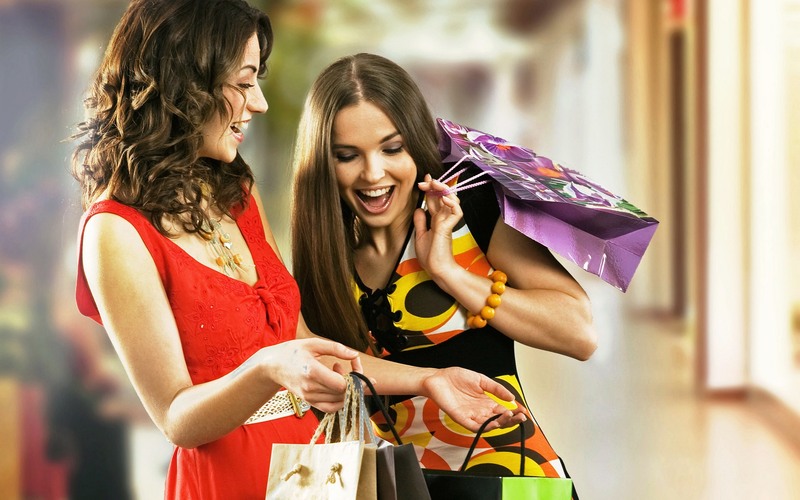 The whole experience of shopping around this time is fun in the absences of sultry and humid climate of Delhi. The crowds won’t bother you much and they rather make the atmosphere a bit warm and enjoyable to suit your comfort. So hop-on the shopping sledge and cruise through the dazzling malls and markets of Delhi to make the most of this shopping period. Preeti Shah is a blogger, writer and travel enthusiast who love to share her opinion and experiences on Travel, Lifestyle, Fashion, Health & Fitness, Books, Movie Reviews and more. Her expertise lays in the topics related to Rajasthan tours, Kerala tours, south India tours, North India Tours, West India Tours, East India Tours, Delhi Hotels, Rajasthan Hotels, Kerala Hotels and more. Preeti Shah - Preeti Shah is a blogger, writer and travel enthusiast who love to share her opinion and experiences on Travel, Lifestyle, Fashion, Health & Fitness, Books, Movie Reviews and more. Her expertise lays in the topics related to Rajasthan tours, Kerala tours, south India tours, North India Tours, West India Tours, East India Tours, Delhi Hotels, Rajasthan Hotels, Kerala Hotels and more.